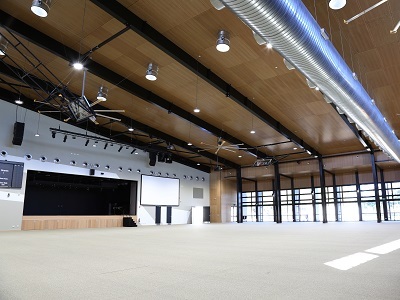 Panels from the DecorStyle and DecorZen ranges by Decor Systems were specified for the Bundaberg Multiplex in Bundaberg QLD. Designed by GHD and built by Murchie Constructions, this once-in-a-generation facility features a combination of solid and acoustic panels from Decor Systems to correctly control the acoustic environment. Decor Systems supplied over 2500sqm of panels for this project. DecorStyle is recommended for interior projects that demand seamless, smooth timber panelling. DecorStyle’s smooth timber panels have the unique ability to open up any space and make it seem larger; the panels can also transform large foreboding spaces into a more inviting and comfortable environment.